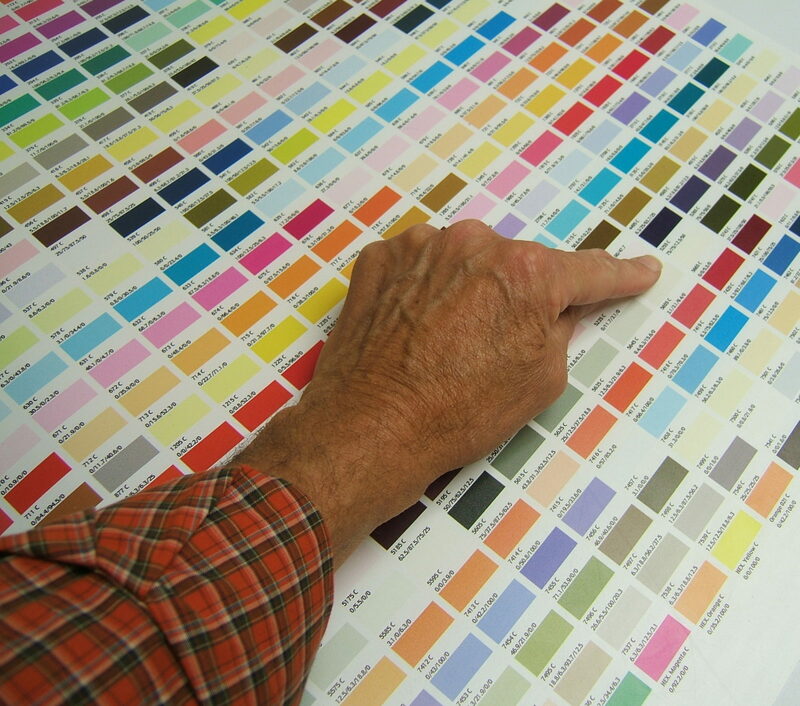 The Pantone Color Matching System is our standard color reference. To ensure that we produce your image correctly, reference the Pantone Color Matching System numbers when specifying colors – i.e. PMS 185 red. 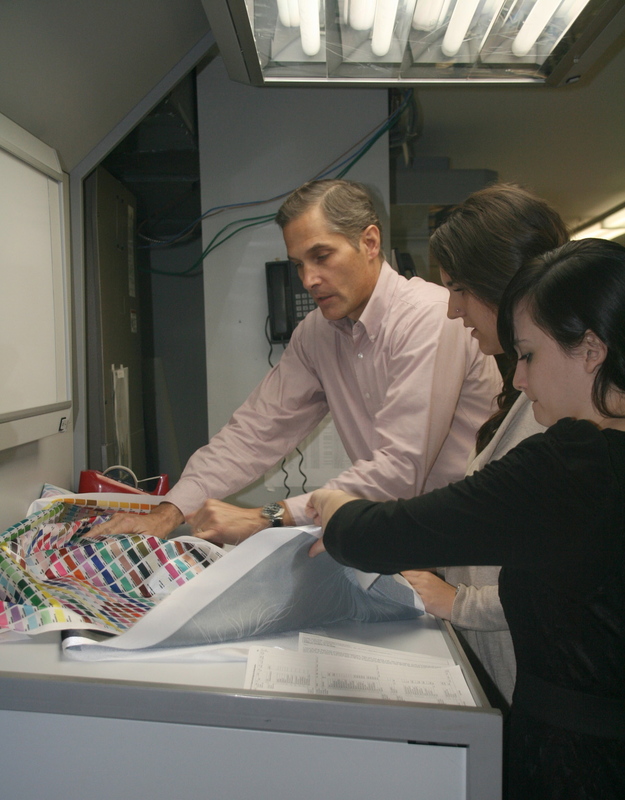 We also recommend using the North American Prepress 2 color setting that consists of an Adobe RGB (1998) icc color profile for all RGB images and the U.S. Web Coated (SWOP) v2 icc color profile for all CMYK elements. Images should be converted to these icc color profiles and saved with embedded profiles. Make sure that the color type is set to Spot Color and not Process Color for best color management. NOTE: In order for you to achieve predictable color from your monitor to print, it is very important to have the device properly calibrated. Establishing identical color settings for all applications used in the workflow is also critical. Exact color matching of products can only be achieved by supplying us samples of them. We routinely match to clothing, shoes, handbags and artwork provided. Standard viewing for reflective color is the 5000K-view booth. For backlit transparencies, we use an industry standard light box with cool white fluorescent lights for our color management. All of our proofs are printed on the actual material using the output device that will produce your final graphics. Color effects beyond our control are the actual lighting conditions found in the final viewing environment. If you know what that light source is, please let us know and we will do our best to factor it in to our color management. In extreme cases we have actually gone on site with a ring around of color tests and made corrections in that environment. This can be costly however and is used only in certain situations. OUTPUT DEVICES AND MATERIALS: Different output printing devices and materials, such as vinyl, paper and fabric can, in some cases produce the same image differently. 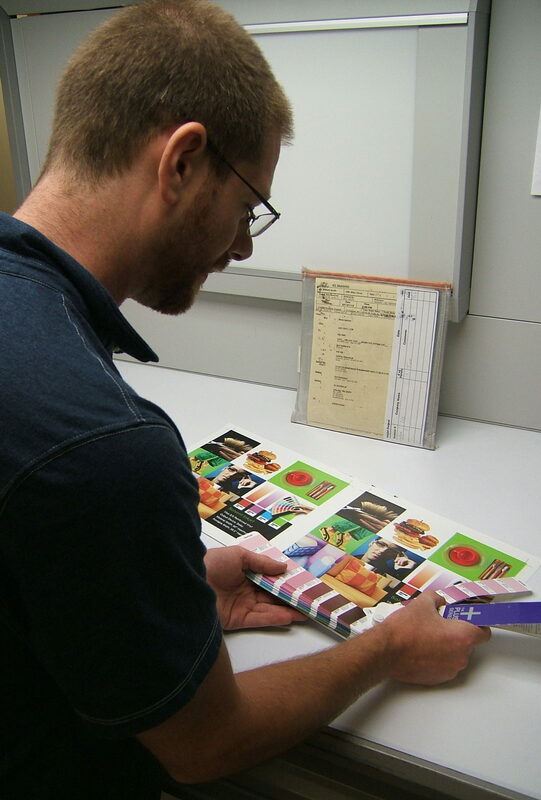 Our experienced staff will work with you to pick the right combination of print media and machine to meet your large format printing expectations. Finally, we always welcome clients who would like to visit ICL Imaging and review color management directly with our color technicians. Please contact us for an appointment.